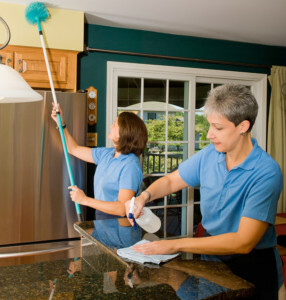 We offer you a spotless cleaning service. If you are a moving out tenant, we want to make sure that your check out is trouble-free; if you need a spring cleaning or just a one-off assistance with the hardest chores, as kitchen and bathroom cleaning, you can book a cleaner for the number of hours you want; if you are a business- we offer commercial cleaning. We offer the full range of one-off services, including carpet and upholstery cleaning. Prices start at £13 per hour for labour. You can choose whether you supply full equipment and product delivery or we do this for you. You make your own package, and you get the best price! Get your house cleaned top to bottom. The fridge and oven, the cupboards, every nook and corner shall be touched as long as you authorise us to spend the appropriate time. You do not rent or let via an estate agent, but you still want to have the property cleaned to the highest standard before you move ou or in. Just set your budget and priorities, and we are here to help! Beck and Call Commercial undertake a range of one-off commercial cleaning tasks including specialised cleaning. Get in touch, and we shall be pleased to provide a quote. You can book a cleaner for 3 or more hours. You just let us know what help you need: after party cleaning, spring cleaning, or priority areas cleaning- kitchen, bathrooms, oven. You name it, we do it! Book with us for any of these services : end of tenancy cleaning, move out/ move in cleaning, spring cleaning, deep cleaning, after builder cleaning, after party cleaning, ad hoc support, carpet and upholstery cleaning. We email you instant company references that demonstrate our reputation and reliability. We have carried out thousands of one-off assignments over the years; this has helped us win a lot of repeat and regular weekly cleaning clients. We shall do our best for you too! Spring-cleaning and end of tenancy services start from £14 per hour charge OR £13 per hour if you order carpet cleaning as well. Check our carpet cleaning prices in the Get a Quote section. Same charges apply for Saturday and Sunday. There is a minimum of 3hrs per visit Mon-Sat and 4hrs for Sunday. Payment is according to the numbers of hours the cleaners have worked. We are quite confident in what we can achieve as we work with estate agents and we do many spring cleanings. For spring cleaning you can fix the number of hours and we do the optimum within the allowed time. We can use your cleaning materials or we can organise a delivery from a provider with a full set of equipment and materials. The cost of delivery for a full set of equipment and materials is £45.The hourly charge approach works out cheaper for the client and helps us be very competitive. We make sure we send experienced people who are efficient and optimise the time in your favour.Please read further details below especially if you need end of tenancy cleaning. •	Kitchen: oven, fridge and freezer, cupboards, sinks, etc. For best results, the freezer and fridge need to be defrosted in advance. •	Windows- upon request the cleaners can also do the interior of the windows if they are within reasonable reach. •	Stains on the wall- upon request only and where possible. •	General- dusting, vacuum cleaning, etc + anything you wish us to organise! •	Priorities- we can also follow your priorities if there are strict hourly limits or areas that do not need attention. VERY IMPORTANT! If you are a tenant and your landlord/ Inventory Company require extra cleaning we are happy to send a cleaner back. Charges apply at all time, as we do not give you high fixed quotes with a free return or refund options. We ask the client to check after the cleaning. We cannot guarantee that there will not be issues or problems identified in an inventory report. However, we have a commitment to send a cleaner back within 24 hours after a reported problem. A reduced charge of £10 of will be applied if you had authorised us to work as much hours as needed; full hourly charge plus delivery will apply if you have authorised only a fixed number of hours for the cleaners. Please make sure to communicate to your landlord that your cleaning company will come to rectify within 24 hours any problems they or their estate agent might have highlighted; this is to avoid situations where a small problem is used for an excuse to keep the deposit or charge very highly for a third company follow up visit.